In this tutorial we will take a look at how you can get your REST API Credentials from within your PayPal account. REST API’s are designed for environments that will be used from devices such as a mobile phone that require OAuth. What is an API? What is a Rest API? Before we go ahead and learn how we can find our REST API Credentials, as an online business owner it’s great to have some knowledge about API’s in general. In short, an API is an application programming interface. An API allows one program to contact another. Use HTTP verbs and a REST-ful endpoint structure. Use OAuth 2.0 as the API Authorization framework. If you are not a developer you may be getting a little confused so we’ll cut it there. For the majority of us we will not have to worry about learning how REST API Credentials thoroughly work, although for a handful of plugins we may need to search for our credentials within our PayPal account. What is the Purpose of API Credentials? Any PayPal API requests need API credentials to ensure that the call is coming from a valid and secure PayPal account. Sandbox testing is similar to live testing in the way it calls directly to the PayPal account. 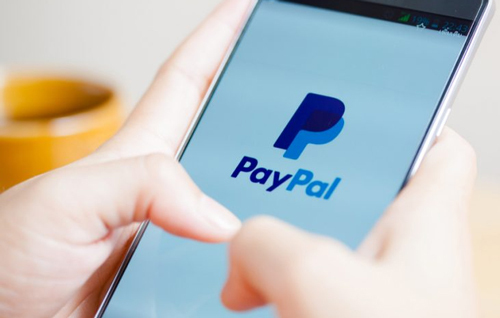 You may stumble across a PayPal E-commerce plugin that requires REST API credentials. Follow the instructions below to locate your REST API Credentials. How Can I Find my Rest API Credentials? Step 2) Once you are logged in, click on the Dashboard menu under your name in the right-hand corner. Step 3) You will now be on the My Apps & Credentials page. Scroll down and locate the section titled REST API apps. Step 5) Give your app a meaningful name. For instance, if this app is for WP plugin you could title it ‘WP Plugin App’. Step 6) Click the Create App button. Step 7) You should now see your Sandbox API Credentials. You can view your Live Credentials by clicking the word Live in the right-hand corner. Step 8) You can reveal your sandbox and live Secret Key by clicking on the Show button. 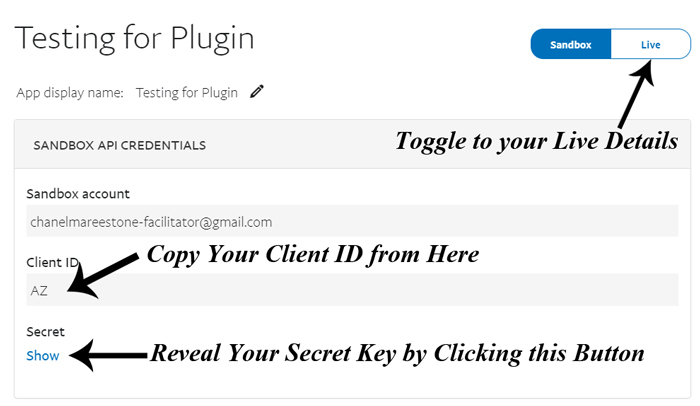 Step 9) You can now copy and paste your sandbox (test) and live REST API Credentials (both your Client ID and Secret Key) to your desired location. For example, plugins that offer PayPal Smart Checkout, may require your live and sandbox REST API Credentials to work. I hope this tutorial has helped you retrieving your PayPal REST API details.